We thought there wasn't possibly another bold flavor of chip the Japanese could attempt after Mountain Dew Cheetos. 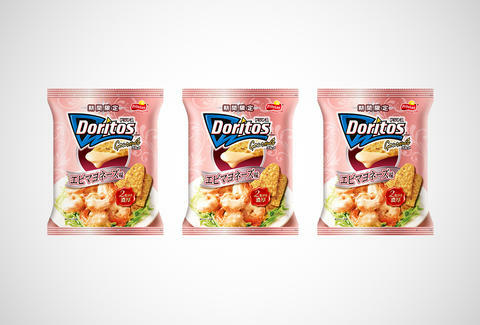 We were all so, so gloriously wrong, because shrimp mayonnaise-flavored Doritos are here, and they're definitely from Japan. The latest in a series of snacks they're calling "Doritos Gourmet" (which also features clam chowder, German potato, and smoky bacon flavors), these chips promise to tantalize the taste buds of anyone who's got a craving for creamy seafood that's been distilled down to a powdery essence. That is, everyone. Adam Lapetina is a food/drink staff writer at Thrillist, and wholeheartedly believes that the best things in life are fried. Read his musings on Twitter at @adamlapetina.